This page categorizes the websites of several initiatives started by Patrick E.C. Merlevede, MSc. 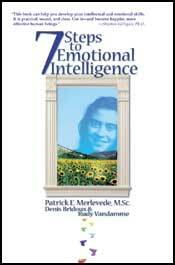 The reworked English version of my book "7 Steps to Emotional Intelligence" is now available! In het Nederlands: Lees "7 Lessen in Emotionele Intelligentie"